Dale Coyne stands in stark contrast to the wisdom of Leo Durocher. He is as nice and personable as nine out of ten Midwesterners you meet, but he rarely finishes last. He is tall and perpetually grinning, seeming tubbier on TV than he is in person. He has a big round Irish face dominated by a huge smile and frequent nodding when he listens. He listens a lot, intently, to whomever is talking to him, whether it’s some awestruck kid or upset racer in his employ. He comes across as just the sort of boss you’d want: Fair as the day is long, but tough as an anvil. Coyne is from Minooka, Illinois, and no, that’s not a joke name. It’s sort of south and west of Chicago, kind of by Joliet (ancestral home of Jake Blues). Minooka is, by sheer coincidence, the home of Nick Offerman, the actor that plays Ron Swanson on Parks and Recreation. In some odd way, Dale seems as if he could be Ron Swanson’s fun friend; the jovial Yin to Swanson’s brooding Yang. Dale Coyne has been racing since the early 80s and has that air about him of forgetting more about racing than you will ever know. He is, to accurately use the term, a fixture in the series. Dale can do more with a nickel than Chip Ganassi can do with a Ben Franklin. And that is yet another charming facet of Dale Coyne, the racer. Another thing Dale has a knack for that everyone in the series admires: He’s a fantastic talent scout. He has this funny ability to find drivers, seemingly out of nowhere and largely unsung, that turn out to be either great talents or fantastic journeymen teammates. 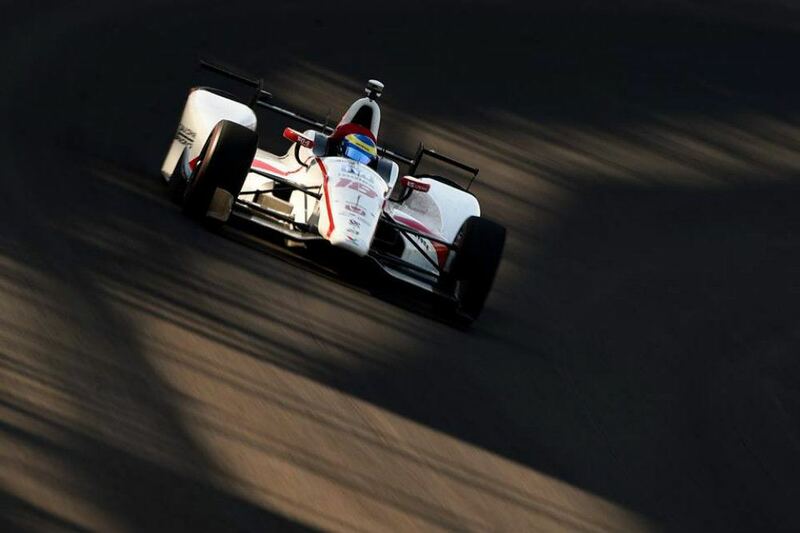 Dominic Dobson, Randy Lewis, Buddy Lazier, Paul Tracy, Roberto Moreno, Memo Gidley, Alex Barron, Ryan Dalziel, Cristiano da Matta, Katherine Legge, Bruno Junqueira, Justin Wilson, and Conor Daly all got their start in big time American racing with Dale Coyne. He’s like Sam Phillips at Sun Records, minus Elvis Presley but plus Paul Tracy. 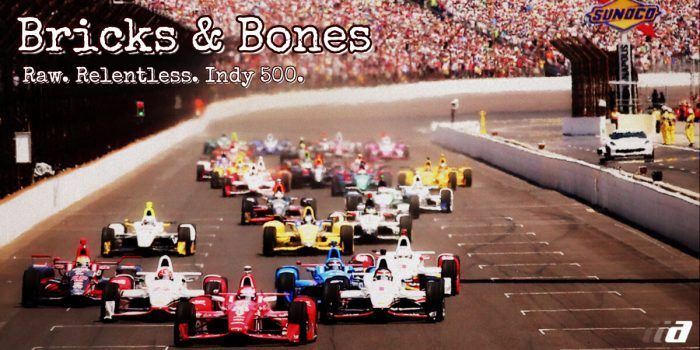 This year he’s running Sebastien Bourdais (who sadly crashed out in qualifying), James Davidson (Bourdais replacement), Ed Jones, and Pippa Mann. 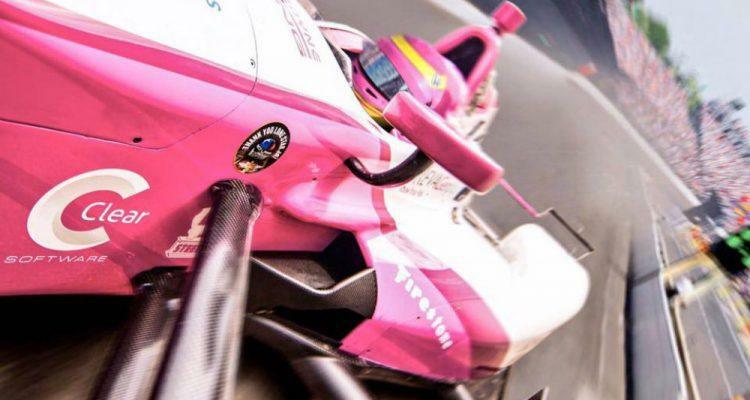 Davidson is some sort of crazed miracle worker, jumping into Bourdais car with only half an hour of practice under his seat before starting the 500. Ed Jones is, like 86% of Dale’s past drivers, a young up and comer. 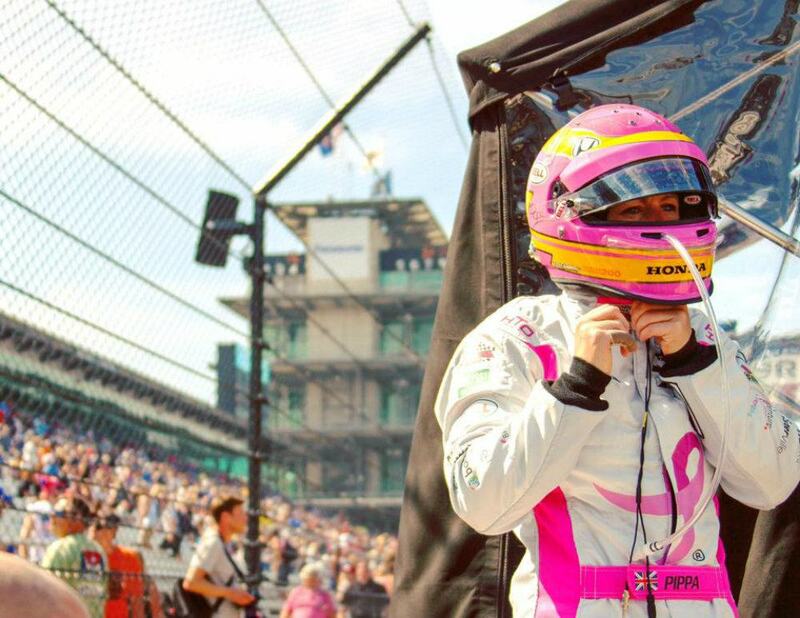 Pippa Mann, on the other hand, is no stranger to the speedway. She shows up every year and beats about a third of the field in qualifying with little to no practice. This delights me to no end because it upsets the sclerotic old dinosaurs who grumble out horse manure about “women can’t” and other such chauvinistic crap that should have ended decades ago. My fondest wish is to be sitting in the stands when a woman finally wins the 500, and be sitting right next to one of these dingbats. Watching him faint will be the cherry on top. Dale is married to, and I am not making this up, Gail Coyne. She’s as sweet as he is. Short, blond, nods while listening and, even better, is responsible for Sonny’s Barbeque (Dale’s main sponsor for most of this season). I’m not sure if she owns it, runs it, bought or whatever, but she understands barbecue, that’s for sure. She laughs as we dive deep into the sociology of soul food and barbecue specifically. Dale seems happy and content, because, in a certain way, he already “won.” He’s doing what he loves, has a great life, and Gail by his side. If that’s not winning, I don’t know what is, Leo Durocher’s opinion not withstanding. 1 Comment on "Bricks And Bones: Chapter 5: Female Perspective"
I love that it’s pink! Wooo! Girl power right on!! !